In recent decades, growing numbers of policymakers have begun to embrace more holistic strategies to address the intertwined challenges of environmental sustainability and human development. Known as ‘landscape approaches’, these strategies have gained traction in governments and international organizations around the world. But are they really being implemented as intended? And are they finding greater success than single focal initiatives? These were the types of questions asked by a research team led by CIFOR scientists when they embarked on an analysis of nearly 17,000 documents — culled to a critical review of 24 peer-reviewed papers and 150 unpublished case studies (termed ‘gray literature’) — on experiences with landscape approaches in tropical countries. “It’s the first time a review like this has been done,” says study co-author and CIFOR researcher James Reed. Published in the April issue of the scientific journal Land Use Policy under the title, ‘Have integrated landscape approaches reconciled societal and environmental issues in the tropics?’, the new study was co-authored by Reed, Josh van Vianen and Terry Sunderland of CIFOR, and Jos Barlow of the Lancaster Environment Centre at Lancaster University in the United Kingdom. Focusing on practical implementation, the study is the second in a two-part analysis of landscape approaches by the research team. Last year the same co-authors published a paper that focused on the theoretical development of the concept. Read also Have integrated landscape approaches reconciled societal and environmental issues in the tropics? Given all the hubbub surrounding the relatively novel approach, the recent study came to a somewhat surprising conclusion: “At the moment, within the scientific literature, particularly, there’s very little evidence to show that [landscape approaches] are being implemented in full, or reaching their potential success,” Reed says. The researchers failed “to find a single applied example of the landscape approach in the tropics that adequately — that is with reliable, in-depth collection and reporting of data — demonstrated the effective balancing of social and environmental trade-offs through multi-scale processes of negotiation for enhanced outcomes”. Maybe the examples are out there, but “we just haven’t found them,” Reed says, adding that perhaps there are hidden “grassroots level” success stories yet to be uncovered by scientific fieldwork. Despite this, Reed and colleagues did find in the literature 174 cases that exhibit at least the basic characteristics of landscape approaches, and relative success in cases where multi-level or polycentric governance structures were applied. What does the landscape approach look like in practice? 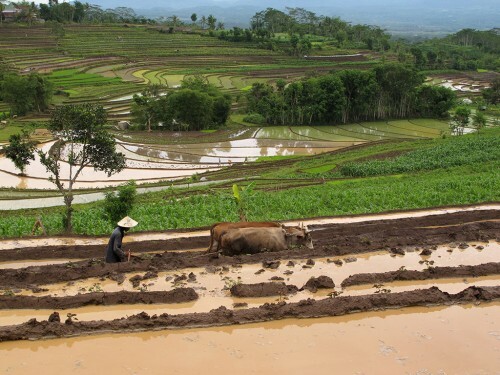 As a result, the study authors did not dismiss landscape approaches out of hand, concluding that they “show potential as a framework to reconcile conservation and development and improve social capital, enhance community income and employment opportunities as well as reduce land degradation and conserve natural resources”, and present a welcome departure from previous, less consultative, approaches. 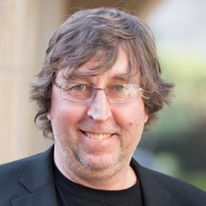 “It isn’t that landscape approaches can’t be effective, but they’re not being effectively reported in the scientific literature, which I would say is important,” Reed says. The myriad elements and stakeholders involved in landscape approaches, along with their generally longer-term perspectives, shouldn’t present insurmountable barriers to good evaluation, Reed says. With long-term sustainable development the ultimate goal, landscape approaches need what the paper called “continual adjustment”. That requires evidence of what’s working, but also of what’s not. So what lessons can be learned from the literature review? “It’s important to review and report not only successes but also failures,” Reed says. The sharing of lessons and best practices is further hindered by a lack of consensus in the scientific community about the indicators that should be applied to the monitoring of landscape approaches. Several people have worked on indicators over the last decade, but nothing has stuck. Since landscapes differ widely, a one-size-fits-all set of metrics is unlikely. Reed suggests that it might be possible to develop a basic set of core indicators, with subsets of additional metrics that could be adapted to local conditions. The danger, he warns, is that a lack of evidence could lead to diminished credibility and a new search for the next best thing. For more information on this topic, please contact Terry Sunderland at t.sunderland@cgiar.org. This research was supported by the United Kingdom Department for International Development (DFID) and the United States Agency for International Development (USAID). Could the Sustainable Development Goals include Landscapes? On Landscapes – Part 1: Why are landscapes important?